Greyt Hearts Service Dogs Inc. The purpose of this group is to train and place trained Service Dogs with individuals needing Physical and/or Psychiatric assistance. This program is geared to but not limited to Military personnel with PTSD. The dogs provided will primarily be retired racing Greyhounds. These dogs are perfectly suited for a life of Service due to the extensive training they have received since birth, their vast exposure at Greyhound racing facilities and the fact that they have a unusually long working life span as opposed to other breeds. Greyhounds are not prone to hip dysplasia, have a very low maintenance coat and do not have a “doggie” odor. Other Sight Hound breeds will be used as they are available, including but not limited to Borzois, Lurchers and Rhodesian Ridgebacks. This makes them quite user friendly and easy for a new dog handler/owner to adapt to. Greyhounds have a calm, quiet nature and bond deeply and quickly to an owner. Sight hounds such as Greyhounds have an active, healthy work life up into their teens. Kennels in FL and various groups throughout the US have a constant supply of healthy, strong, loving dogs, looking for Forever Homes. What better home could there be than a person who needs the assistance and love that these dogs will provide. 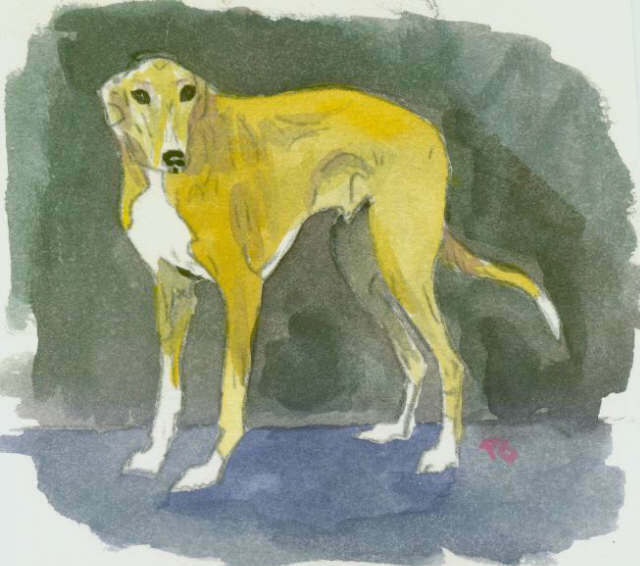 The fact that the Greyhounds come off the Track and have extensive social and leash training shortens the training time needed to finish them as a Trained Service Dog. This reduces the cost of training and upkeep per animal to less than half the cost of a traditionally produced Service Dog. Patricia A Goettler, brings over 30 years’ experience in Animal Behavior and Training to GHSD Inc..
She is an AKC CGC Evaluator as well as a Therapy Dogs Inc. Tester/Observer. Ms. Goettler started and ran the Dog Training department of the Fredericksburg PetsMart in 1996 through 2003. During this time she not only taught Dog Training; but trained other Dog Trainers. She also trained a number of Service Dog / Handler Teams. Since then she has continued training dogs and individuals; certifying Dog/Handler Teams as Hearing Dogs, Physical Assistance Dogs and Psychiatric Assistance Dogs. The dog must exhibit Obedience skills as well as good Social Behavior. They are tested in an area that has distractions and a lot of activity. This gets our hounds ready to take their training into the Public arena.